And thanks to a new pilot program being launched by Southern California Edison, Porterville Transit will receive financial assistance for bus charging stations, including free installation of electrical infrastructure, to support 10 new zero-emission buses the transit agency is adding to its fleet. The new battery electric buses are replacing older ones that run on fossil fuel. As part of a new SCE pilot program, Porterville Transit will receive a rebate for electric bus charging stations. That would put the transit agency well ahead of complying with a proposed state rule that would require all new bus purchases by transit agencies to be zero-emission by 2029 with the goal of achieving a zero-emission transit system statewide by 2040. Last week, the California Air Resources Board heard comments. “The proposed Innovative Clean Transit rule aligns very nicely with SCE’s vision for cleaning up our air and fighting climate change,” , said Laura Renger, SCE principal manager of Air and Climate Policy, who spoke at the hearing. “Our plan for helping to achieve California’s ambitious air pollution and greenhouse gas reduction goals calls for more than 7 million electric vehicles on state roads and highways by 2030, including more than 200,000 trucks, buses and other industrial vehicles,” she said. Renger added that electrifying the transportation sector is critical because, between tailpipe emissions and the refining of oil products, transportation produces nearly half of California’s total greenhouse gas emissions and nearly 80 percent of the state’s smog-forming nitrogen oxide emissions. And there’s no place where that’s more apparent than in Porterville. In addition to the money Porterville Transit is saving by participating in SCE’s pilot program, the transit agency is also benefiting from the utility’s expertise. 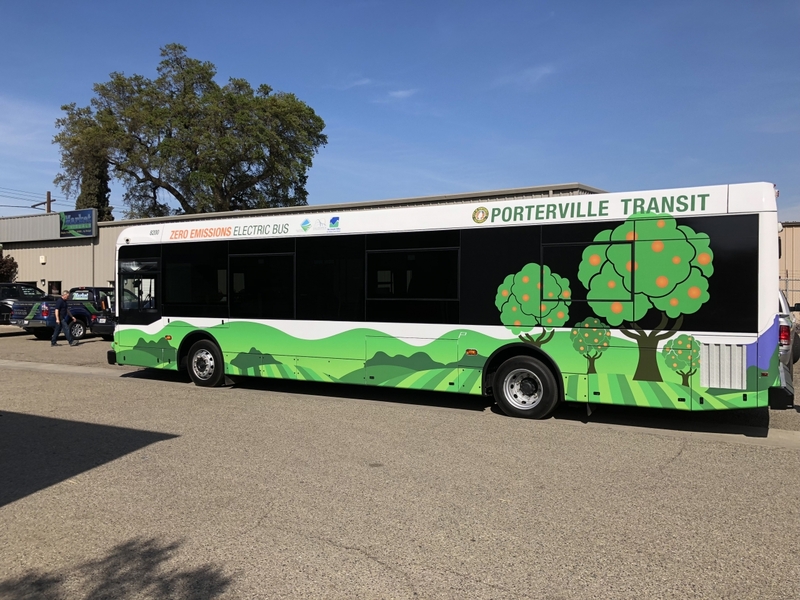 By partnering with SCE on infrastructure, he said, Porterville can serve as a model for other transit agencies deploying zero-emission electric buses. To motivate other transit agencies to follow Porterville’s lead, Katie Sloan, SCE director of transportation electrification, is at the nation’s largest public transportation forum this week spreading the word about how SCE is providing solutions to its customers who plan to convert to electric buses and other medium- and heavy-duty vehicles. “We are excited about partnering with transit agencies and other customers of ours who are adopting larger electric vehicles,” Sloan said during the American Public Transportation Association’s annual gathering in Nashville, Tenn. In addition to the Charge Ready Transit Bus pilot, SCE recently launched Charge Ready Transport, a $356 million program to help install electrical infrastructure to support charging medium- and heavy-duty trucks, buses, forklifts and other non-road cargo handling equipment. 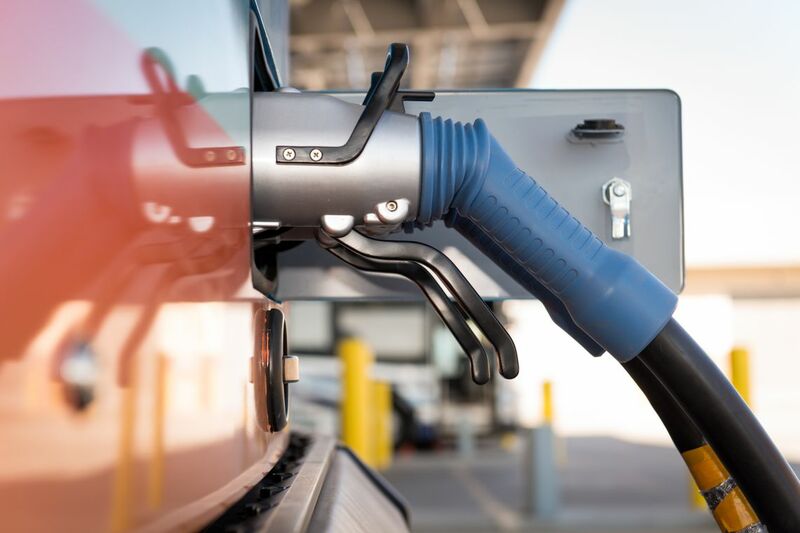 SCE also recently announced a commitment to pursue the development of more than 50,000 electric vehicle charge ports in its service territory by 2025.